More than a harsh defeat, Real Madrid appears to have lost most of the confidence their fans had on this team, this coach and ultimately, this president. Fingers are being pointed at everyone and even though we're still in November, few can now predict a happy outcome at the end of the season. Problems are arising from all sorts of angles and some drastic changes will necessarily need to be brought in as soon as possible. This team has yet to impress this season and the extremely poor performance against Barcelona last Saturday has definitely rang the alarm bells in Madrid. 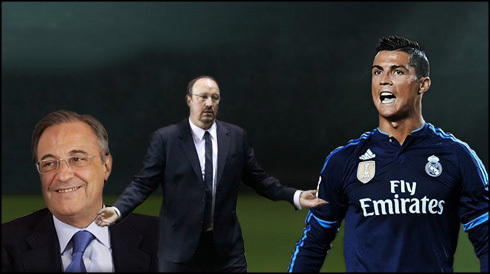 At his press conference yesterday, Florentino Perez urged Madridistas to "let Benitez work." The President claimed that Rafa had only been there for a few months and that prior to the past two matches, the team was in excellent form. It was good news for Benitez, after many expected him to be fired after the disaster of a performance against Barcelona, but the truth is until Madrid address the giant elephant in the room, almost any coach will have problems with the squad. 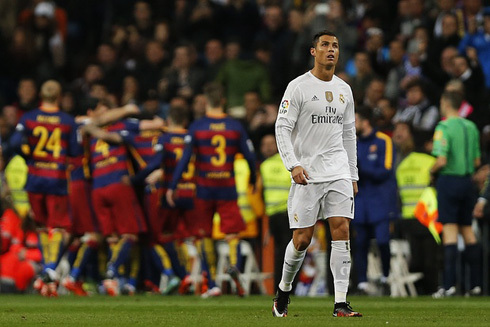 The issue that is conveniently being ignored is the fact that Madrid's lineup makes no sense. Proposal: Bale and Kroos should be dropped. This is not in any way a slight against their skill level and performance, but the pair are quite redundant pieces to the current Madrid puzzle. Against Barcelona there was no midfield, both Modric and Kroos were forced to continually pass the ball backward as there was no available option in midfield. The front four, consisting of the BBC+James, were entirely isolated and the strategy played right into Barcelona's hands. Up top there are other problems. Ronaldo, Benzema, Bale and James should not start together in the big games, as it leaves Madrid far too imbalanced. This is where Isco should come in for the Welshman. Truthfully, Isco has been a bit underwhelming at times this season, but in this team he would be perfect. Isco is brilliant at ball retention and he does an excellent job of dribbling and keeping the ball alive in the center of the park. With James, a far more direct player, Isco would thrive. On another note those two have excellent camaraderie on the pitch and it shows on the few occasions they can play together. Had Isco started in place of Bale on the weekend, he would have been the perfect link between midfield and attack, and he would have given the likes of Modric and James someone to play off of. Cristiano Ronaldo next game will be for Real Madrid on the 25st of November of 2015, against Shakhtar Donetsk. You can watch Juventus live stream, Shakhtar vs Real Madrid, Borussia Monchengladbach vs Sevilla, Manchester United vs PSV, Juventus vs Manchester City, and CSKA vs Wolfsburg, all matches provided from our football streaming game pages.